Oluniké Adeliyi, Gil Bellows, Ariel Cardenas et al. 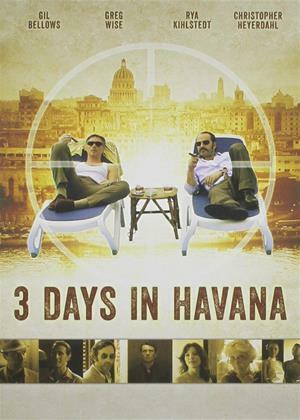 Jack Petty (Gil Bellows), an Insurance executive attending a convention in Cuba, has his world turned upside down when he gets cough up in an assassination plot. What starts as a seemingly harmless friendship with a fun loving travel writer, turns into entrapment, Jack wakes up the next morning to discover a dead man in o bathtub and a stranger at the door. Things go from bad to worse when Jock beelines to the Canadian embassy only to learn he can't trust anyone. With nowhere to turn and nothing but danger in his path, Jack needs to stay one step ahead of them to get out of Cuba alive.